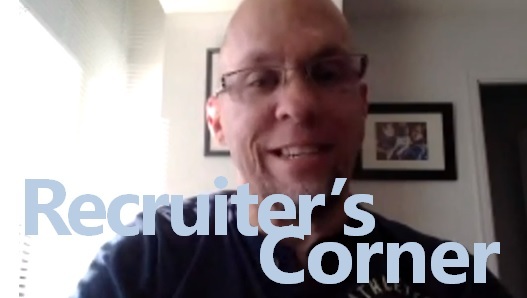 Welcome to that latest Recruiter’s Corner webisode. Today we have Geoff Webb, Sr. Sourcing and Staffing Specialist from Toronto. Geoff and I talked about tips for YOU the job seeker. Please check it out. Connect with Geoff here on LinkedIn. I think it would have been a great webisode, but the sound is horrible. Too much of an echo to be able to follow it. Jen, I been wrestling with the sound quality on each of these. I will try to figure this out. Thanks for the feedback – no pun intended.